13 Commercial Real Estate & Properties in Upper Mount Gravatt are listed in 5 categories. We have 11 OfficesSale , 9 Medical and Consulting PropertiesSale , 2 Other Commercial PropertiesSale , 2 Development LandsSale and 2 Retail ShopsSale . Upper Mount Gravatt Qld, Retail Restaurant For Sale Big discount for Uncondit.. Rarely does an exceptional and well established restaurant freehold property come to market with so much potential. 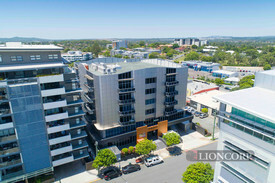 Key features include: â¢ Located in Upper Mount Gravatt , 10km from Brisbane's CBD. a mini Central business district (CBD) â¢ Facilities include main bar, restaurant and indoor and outdoor dining, commercial kitchen, Washing machine, cold room and sufficient storage space â¢ Modern Fitout and long term tenant â¢ Consistent trading figures â¢ Surrounding by residential units, opposite to Coles Supermarket, Ample Parking available â¢ Ample parkings: 6 visitor parking; 7 Restaurant reserved parkings, 4 exclusive parkings. Total 17 car parks â¢ Offering unlimited potential, this is an outstanding opportunity for an owner occupier or investor seeking an established business and long lease. â¢ Two large storage area â¢ 205m2 â¢ Accelerating Success. To request an Information Memorandum or arrange an inspection, please contact Conan Li at 0404 617 767 Location: Upper Mount Gravatt is 10km from Brisbane's CBD. It is considered to be one of the closest business centres to Brisbane City.The suburb has been described as a mini Central business district (CBD). It's close proximity to the major arterials including the South East Freeway and the M1. The area is well known for its major retail and shopping centres such as Garden City and also surrounded by corporate business offices. Many companies have moved from the City to Upper Mount Gravatt for its convenience and access friendly for both clients and staff. The area is currently experiencing further expansion with the new shopping complex and some new office developments due to demand. Price: Big discount for Unconditional contract, Until 31st April 2019 Inspection: By appointment Location: Sanders Street Upper Mount Gravatt QLD Contact: Conan Li: 07 3373 9887/0404 617 767/ conan.li@yong.com.au Disclaimer: We have in preparing this information used our best endeavours to ensure that the information contained herein is true and accurate, but accept no responsibility and disclaim all liability in respect of any errors, omissions, inaccuracies or misstatements that may occur. Prospective purchasers should make their own enquiries to verify the information contained herein. Investment With Owner Occupy Opportunity Contact Exclusive Marketi.. Invest Or Develop 1194 M2 , Suitable For 5 Story Building ( S C A ) Asking Price From $1.5 Mi..
Upper Mount Gravatt Qld 4122 $660,000 net pa approx fu..